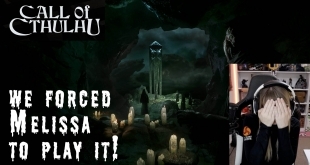 Call of Cthulhu PC Gameplay – Melissa is PETRIFIED! This week, BoMenzzz sits down to solve some Lovecraftian mysteries in Call of Cthulu. We kinda forced her to play this one and she wasn't too happy about it. She took one for the team.